This massage oil is brought to you by Kama Sutra – the biggest name in sensual massage oils. This fragrance is one of their most popular ones. 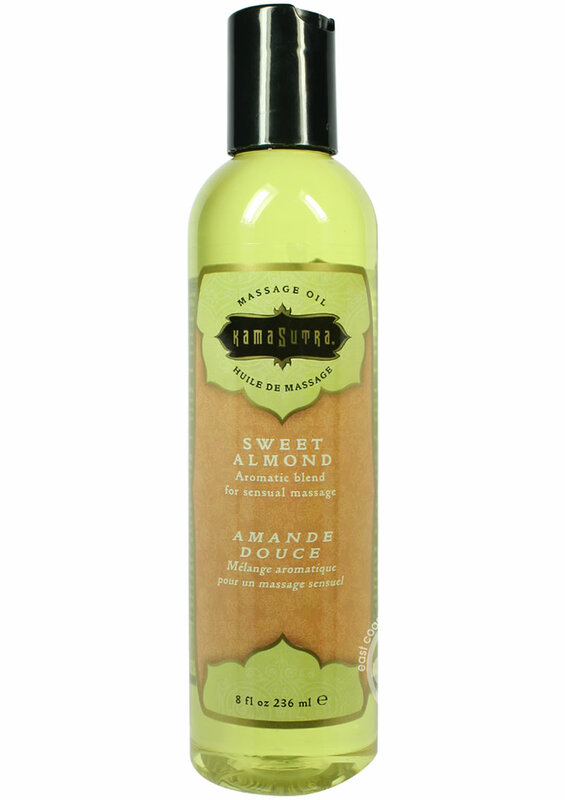 Sweet Almond gives you a sensual blend of oils for a romantic massage. *Do not use massage oils on toys, do not use as a lubricant – massage oil can break down toys and rubber/latex condoms. * 8 fl oz.